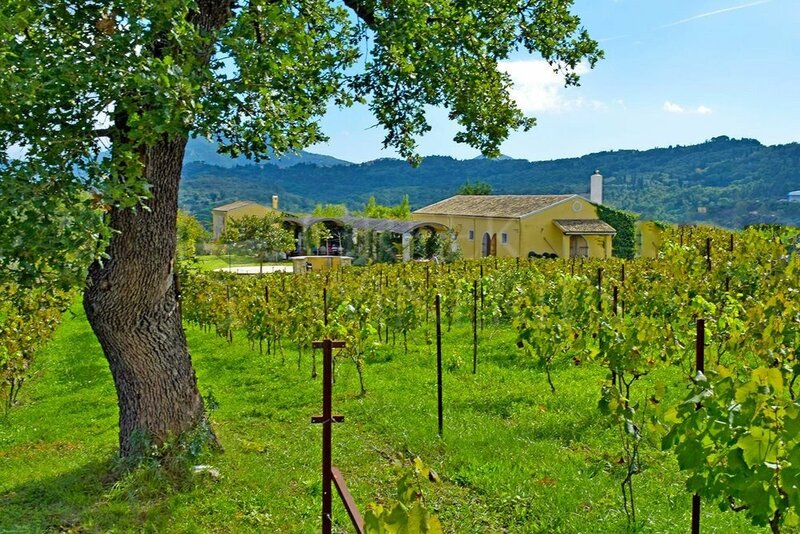 Ambelonas (Vineyard) Corfu This wonderful vineyard is situated on a green hill at the crossing of Pelekas - Agios Ioannis, 500 meters to Peleka, before the Caroumpatika. 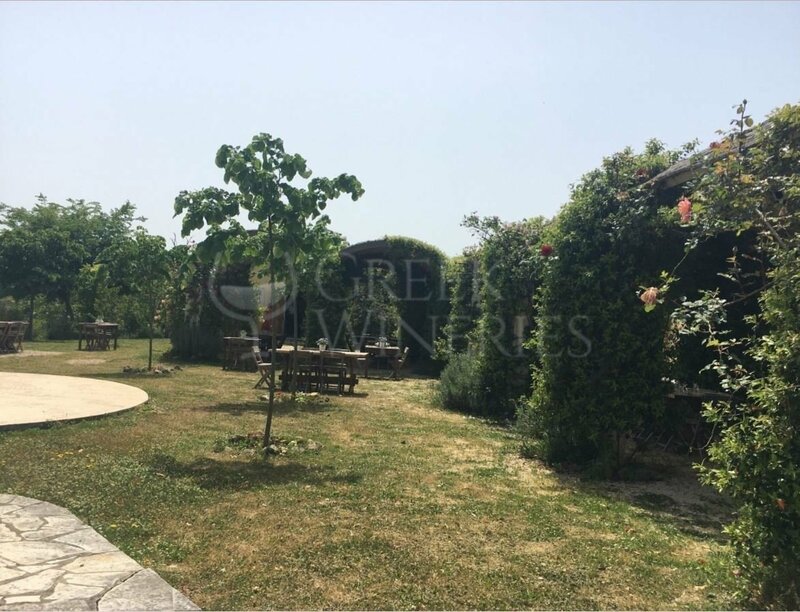 The property was acquired by their ancestors in 1600 when they emigrated from Venice to Corfu. Today the total area is about 7.4 ha of which an area about 1,8 ha is a newly planted vineyard. 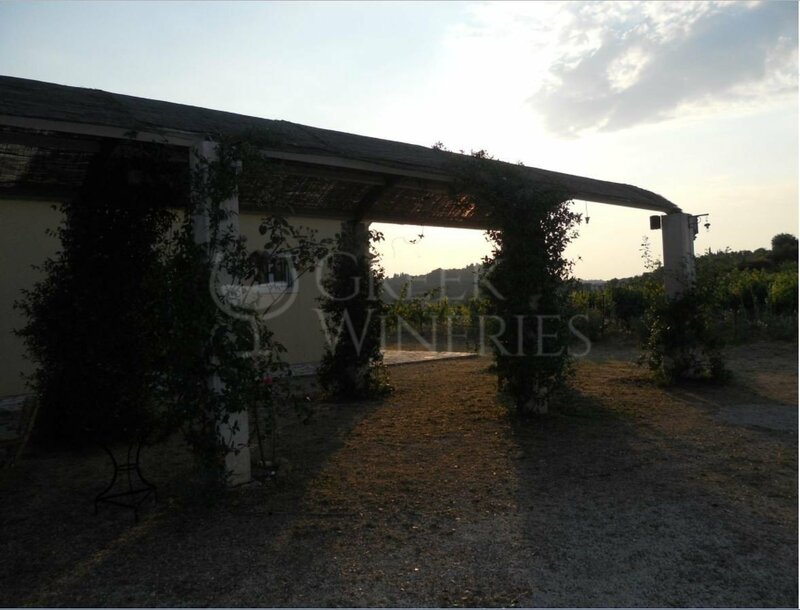 In 2004, the old facilities were rebuilt to house all proper pre-industrial olive oil and wine making equipment. olive-oil and wine production. 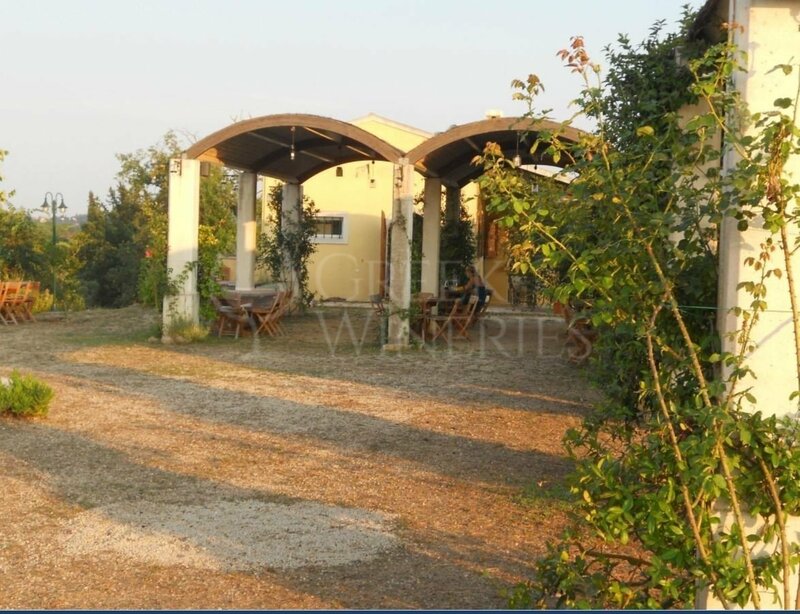 Corfu has been a wine producing island since ancient times (references can be found in Homers Odyssey). The cultivation of olive trees became widespread during the Venetian occupation of Corfu between 1386 and 1797. At the time olive oil was an important commodity not so much as food but as a source for lighting. Manual device for crushing grapes: The baskets are emptied one by one. By turning the wheel, the must (grape juice) and the broken grapes fall in a tray. 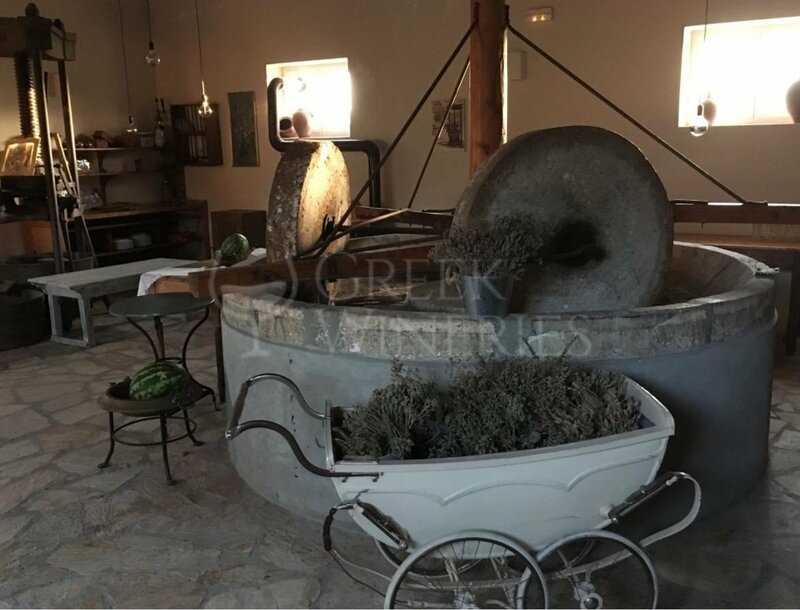 Tank: The must and the grapes are transferred into an open big Vat and there they are further crushed by stepping on them with bare feet. The must is transferred to barrels to ferment. 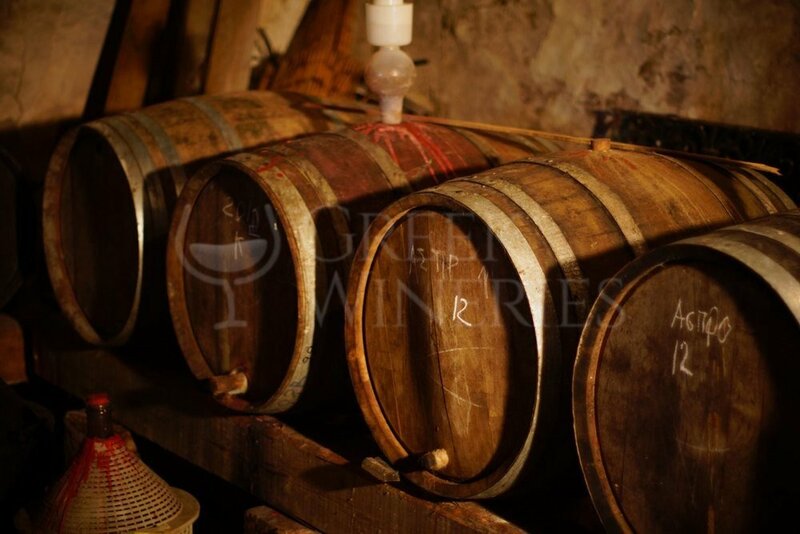 Barrels (Oak): The use of oak wood for making wine barrels plays a significant role in winemaking and may have a profound effect on the resulting wine, by affecting color, flavor, tannin profile and texture of the wine. Also a number of small tools are displayed: bottling tools, corkscrews and bottles in different sizes.